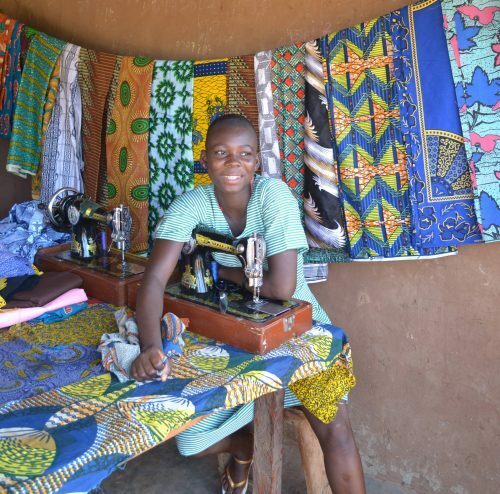 The microcredit program originally started as a part of the reintegration program for orphans and empowered their families to generate income in the medium and long term for self-sufficiency. Meanwhile, the microcredit program has been expanding at the village level for several years now. In Guabuliga tenders for microcredit are held regularly. Almost all people in Guabuliga depend on agriculture. This is on the one hand due to the climatic conditions a risky venture, on the other hand, the demand in the market is already covered to some extent. BRAVEAURORA therefore encourages villagers to develop new, innovative business ideas outside traditional agriculture. The business plans are then reviewed and the most promising ones get selected by a local jury. The business ideas of the villagers are varied and range from, for example, bread or snack sales to chicken breeding, soap production and the sale of textiles. In combination with the training centre there is also the possibility to apply for a microcredit as a graduate to promote the implementation of business ideas.